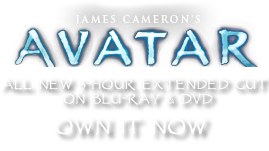 Dump Truck | Pandorapedia: The Official Guide to Pandora | Own AVATAR on Blu-ray & DVD Now! The Hell Truck earned its name after years of service on Earth because it is noisy, ungainly and slow-- hell to operate. You won't be drag racing this truck any time soon. But, like the tortoise, it eventually gets where it's going. 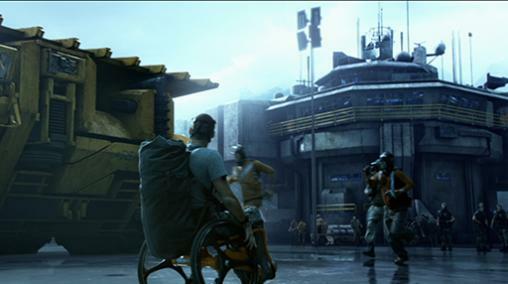 But conditions endemic to Pandora, including more compact soil and slightly less gravity, make operating the Hell Truck less difficult than on other worlds. More amazing than its sheer scale is the sight of the truck bed slowly rising, dumping its mountain of dirt. The Hell Truck is a large-load soil and ore transporter, manned by two drivers. One driver operates the vehicle itself. The other monitors the load and operates the movement of the truck bed lifters. Most Pandoran soil has a high moisture content and is porous, so it can be compacted by 17 percent. Better still, because of unobtanium traces in the ore reacting to natural magnetic fields, the weight of the soil is much lighter, especially in areas where the magnetic fields are strongest (especially near the Floating Mountains). In some cases, the ore must be sealed inside the bed of the truck or it will fly into the sky like anti-gravity dust. Sensor chips to "side and rear view mirror" the vehicle are mounted on either side of the vehicle and in the rear. The operator safety cabin is mounted at the front right (from the driver's POV). It variously receives its load from wheel loaders, Robotic Dozers and grinder conveyer belts. It is one of the largest land vehicles ever built on Earth, and one of the heaviest unloaded. Even with the ultimate in hydraulic-assist power, steering the unit is like driving a skyscraper down a narrow street. Twenty hydraulic brakes make certain the vehicle eventually comes to a full stop, but require several hundred yards to decelerate properly. To support that big a load there are six titanium laced tires (each 4.5 meters in diameter) on a permalloy chassis. Official Name Heavy duty class dump truck, Series 2. Notes One of the largest land vehicles ever built. In near-Earth gravity, roads have to be compacted to keep the unit from sinking up to its chassis. Advanced electronics for the truck are shipped from Earth, but truck is mostly manufactured on Pandora.